HomeFor ClientsAnalyticsForex Analysis & ForecastsForex Technical analysis and forecastsForex Technical Analysis 2011/02/10. EUR/USD,GBP/USD, USD/CAD, AUD/USD Forecast FX. Forex Technical Analysis 2011/02/10. EUR/USD,GBP/USD, USD/CAD, AUD/USD Forecast FX. The EUR/USD currency pair keeps being unstable. However, while the price is inside the rising channel, there is a good chance that the existing tendency will continue and the price will reach new local maximums in the area of 1.3860. Currently the price structure looks similar to “head & shoulders” reversal pattern. 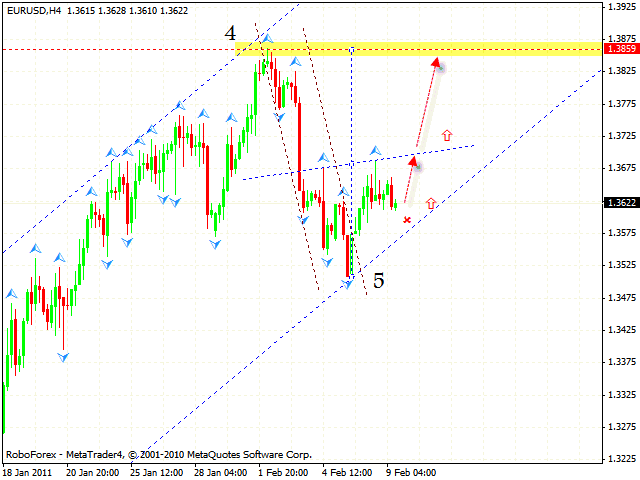 One can consider buying the pair after the price breaks maximum at the level of 1.3690. 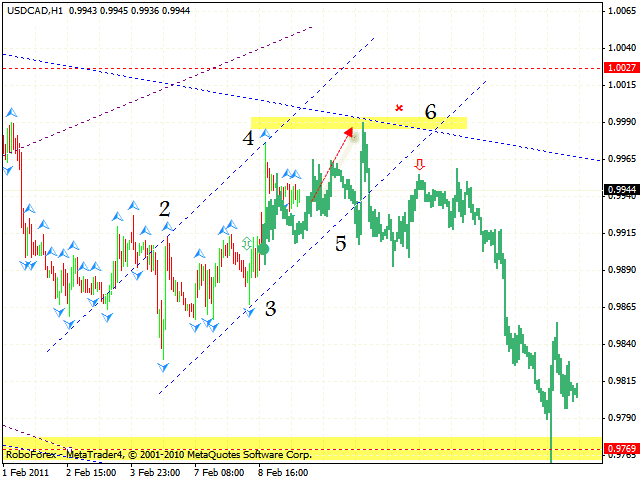 On the basis of the eurusd analysis aggressive traders can try to buy at current prices with the stop below 1.3605. 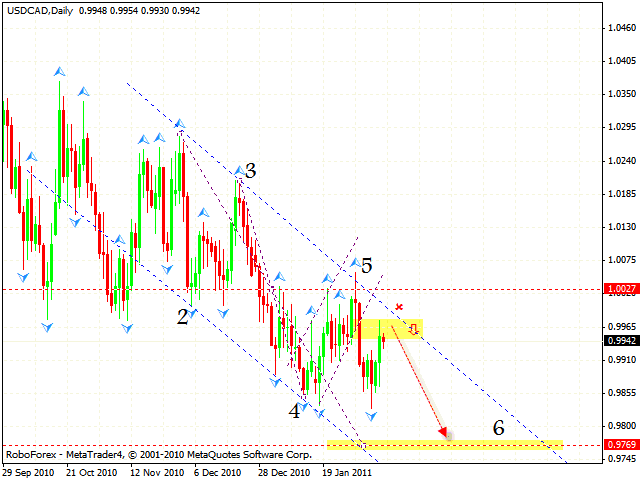 As it is seen from the gbpusd analysis Pound keeps moving downward despite the signs of reverse. 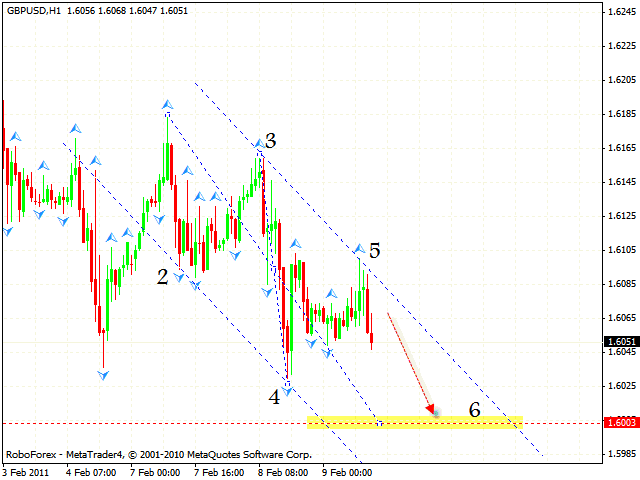 At the moment we have the descending pattern forming with the target in the area of 1.6003. One can consider buying the pair after the price breaks the channel’s upper border. In case of Canadian Dollar we can see that the descending pattern with the target in the area of 0.9769 is still being formed. 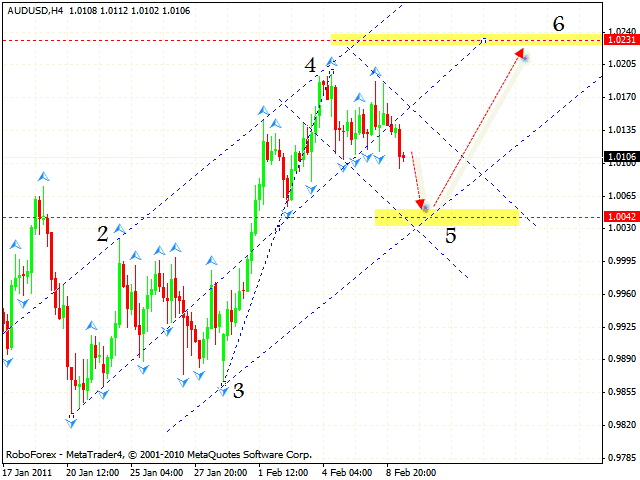 According to the usd cad analysis the price is back to the area where the rising channel has been broken, thus indicating an area to sell the pair. At the hourly forex online chart of the pair we should expect the price to move up to the level of 0.9990.One can try to sell the USD/CAD currency pair with the defined targets after the price leaves the rising channel. Australian Dollar keeps moving inside the rising channel. The target of the growth is the area of 1.0231. Judging by the aud usd analysis you can try to buy the pair at the level of 1.0042. If the price breaks the channel’s lower border, this case scenario will be cancelled and we will recommend you to consider selling the pair instead of buying it.